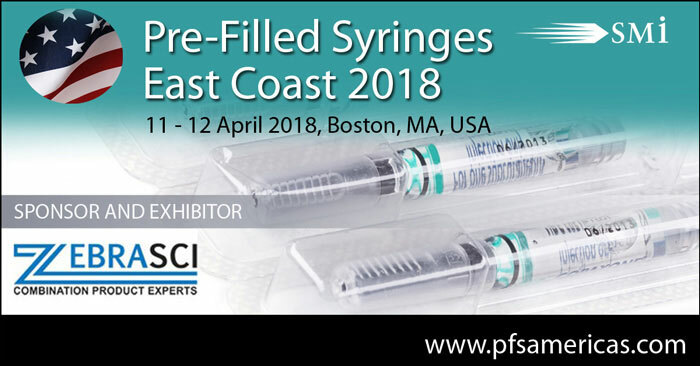 Pre-Filled Syringes East Coast will once again play host to an international audience of drug delivery, medical device and PFS experts to discuss emerging trends and offer innovative solutions to the challenges facing the prefilled industry, helping attendees to secure global success for their PFS device. The event consistently brings together industry and regulatory experts to share their experiences and explore new developments, regulatory considerations, trends and best practices. The complete characterization of primary packaging (PFS), formulation, and device up front is essential to launching drug delivery / combination products in a timely fashion. Our independent FDA regulated and ISO 17025 certified lab, provides a full suite of device, primary container and package testing services – including container closure integrity (CCI) – to the life sciences community. Our clients partner with ZebraSci to resolve technical issues, ensure regulatory compliance and accelerate “time to market” to support the development of safe and effective combination products for commercialization around the globe. Whether you’re interested in device engineering, regulatory, human factors or you’d just like to learn more about ZebraSci, let’s connect in Boston! Give us a call or email sales@zebrasci.com to set-up a specific time to meet this April.